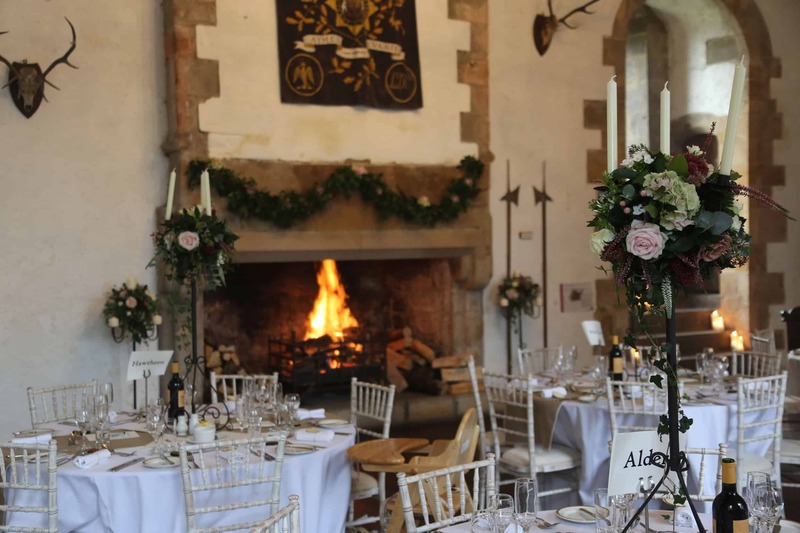 Recently voted the 17th Best Wedding Venue in the UK by The Independent, what better place to celebrate your wedding and the promises you have chosen to make. 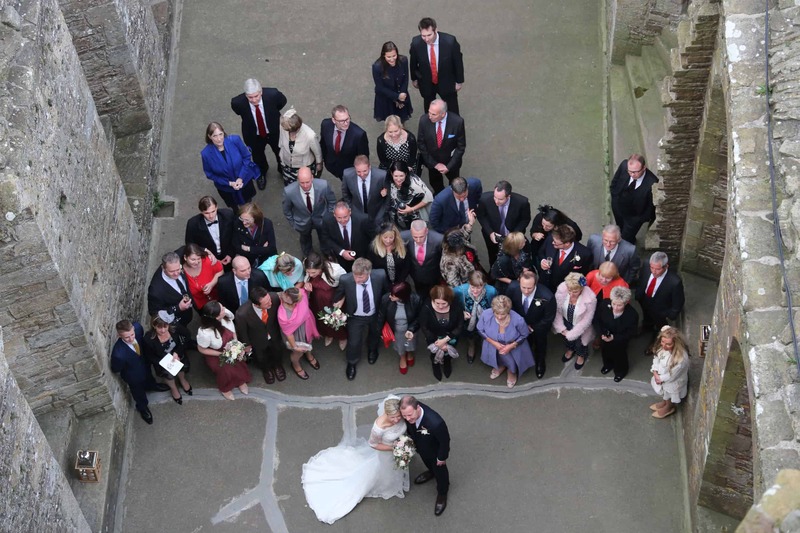 Whether you want a simple wedding reception or a full wedding service, we are committed to ensuring everything is perfect for your special day. 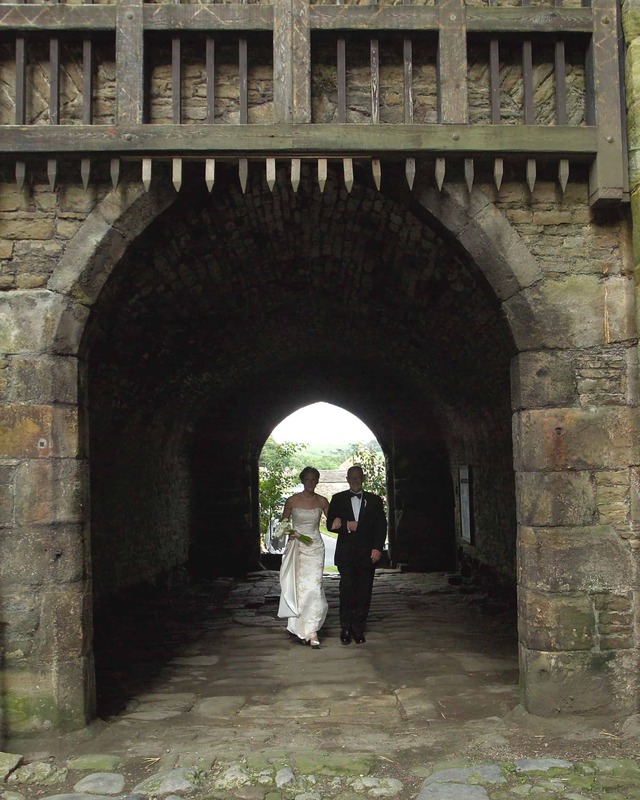 Imagine arriving through the impressive archway under the portcullis into the stunning cobbled courtyard of the Castle. 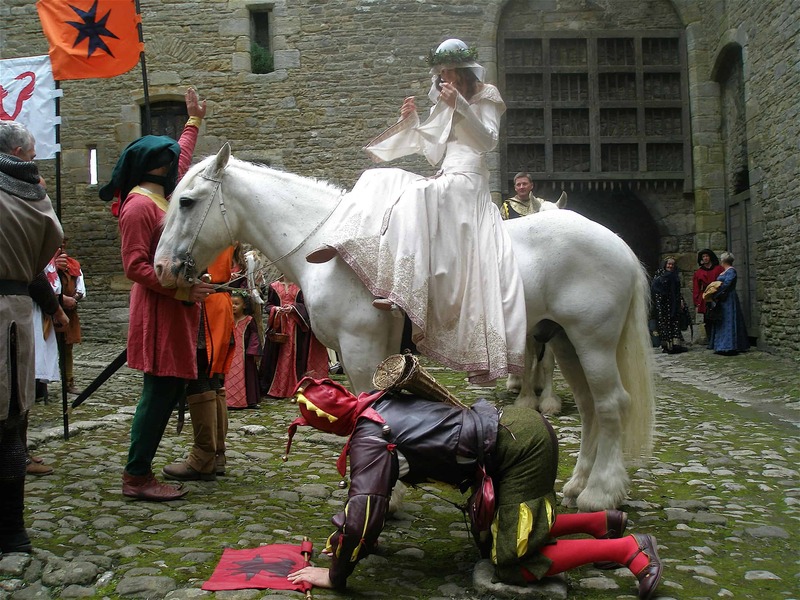 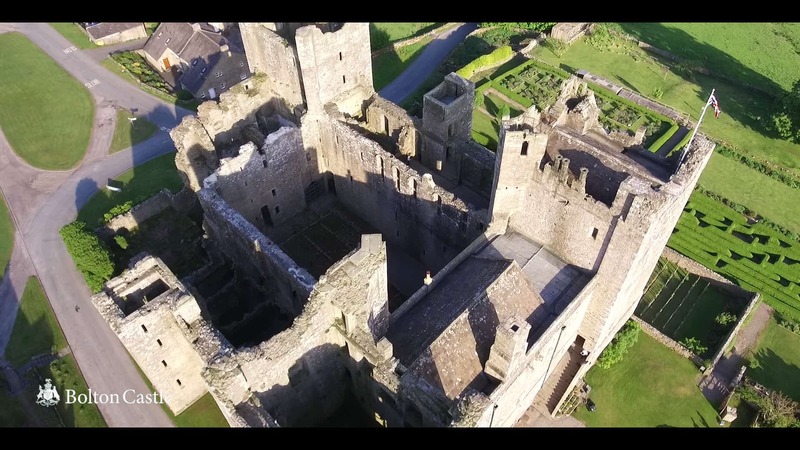 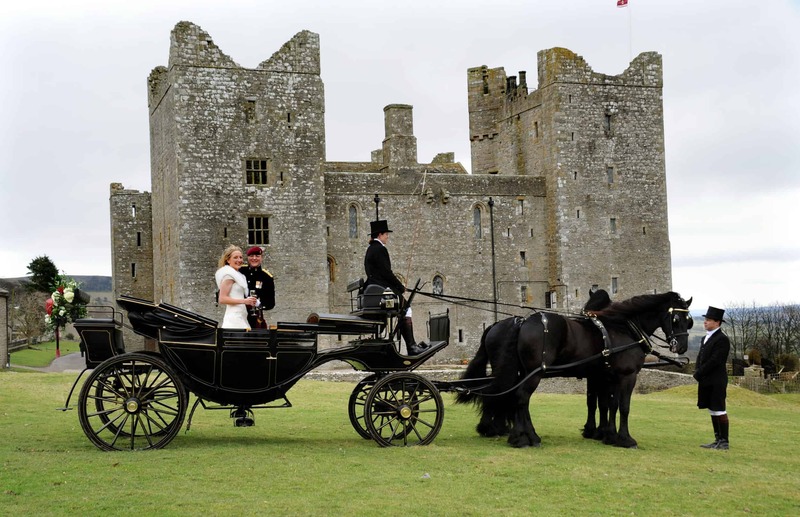 You will be following in the footsteps of Royalty and you will be the King and Queen of Bolton Castle for the day. 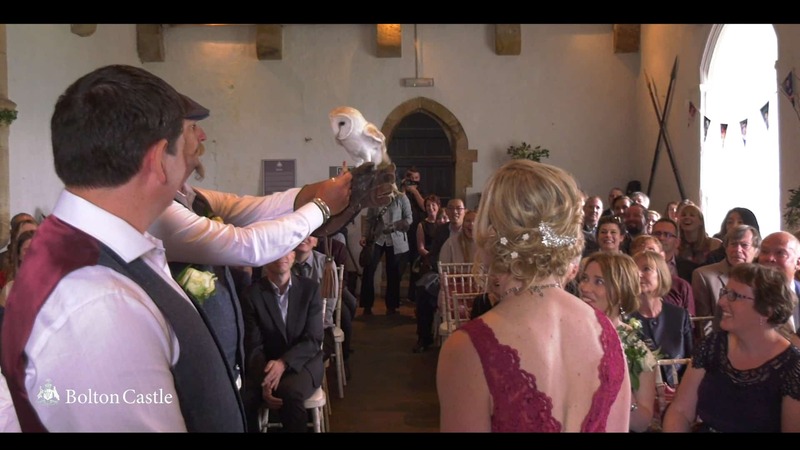 Imagine marrying in a beautiful candle lit room in the Castle with a Barn Owl quietly flying down the aisle to deliver your wedding rings at just the right moment as you say your vows to each other and your guests being entertained by our falconry display as you have your photographs taken in the beautiful backdrop of the Castle and its grounds. 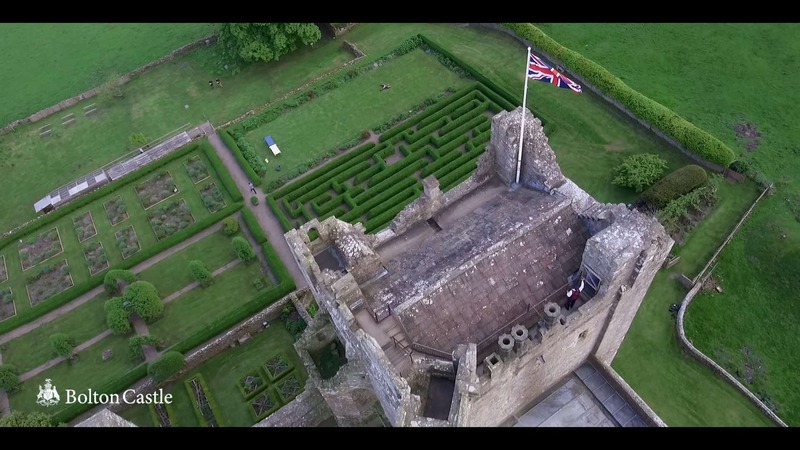 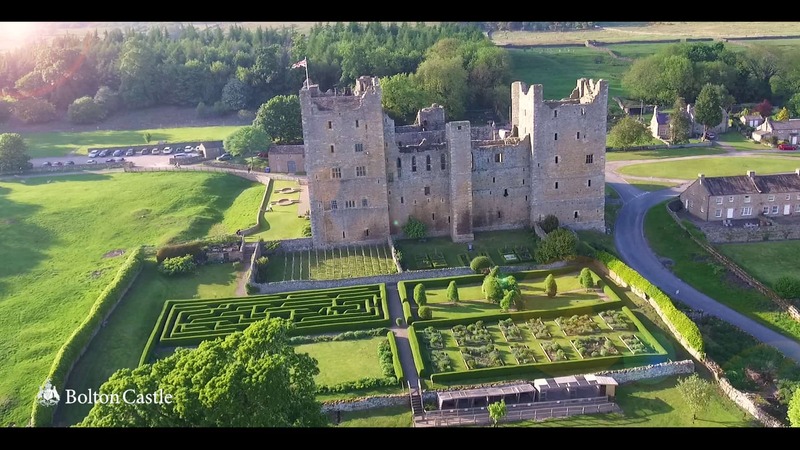 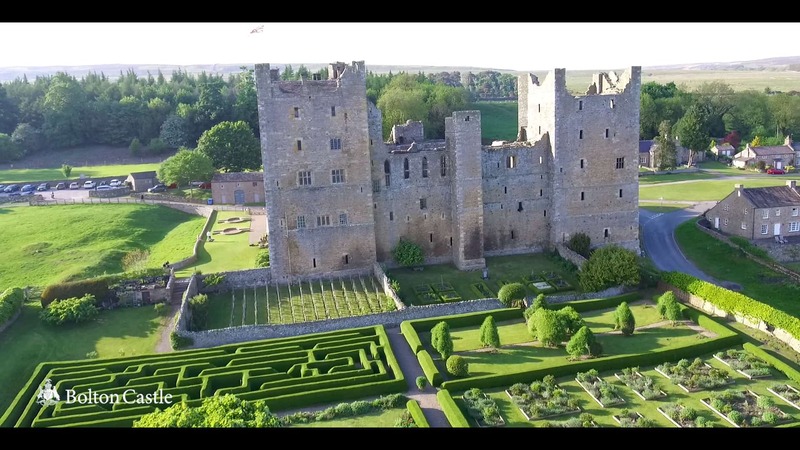 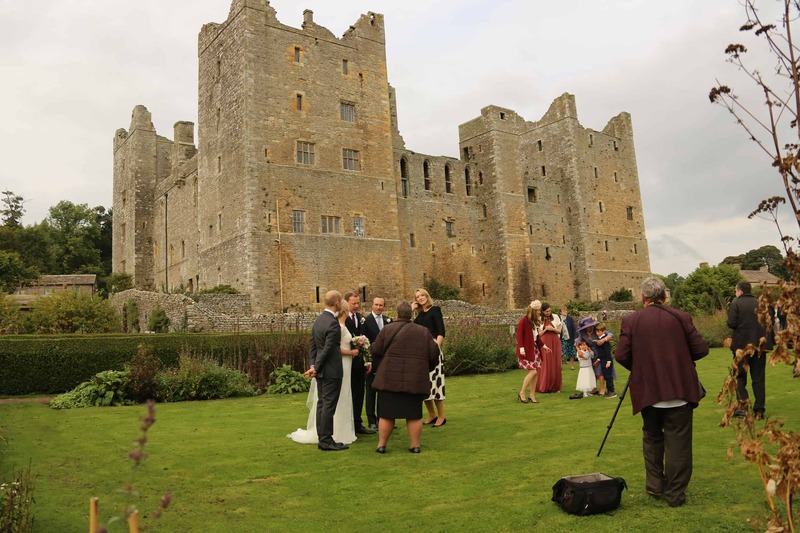 The article featured a wide variety of venues from ‘romantic woodland retreats to chic city hotels, and described Bolton Castle as ‘One of the most majestic buildings in the Yorkshire Dales, this historic venue (famous as the holding ground of Mary Queen of Scots on her way from Scotland to Tutbury) has long been a popular choice for wedding receptions and, more recently, for civil ceremonies. 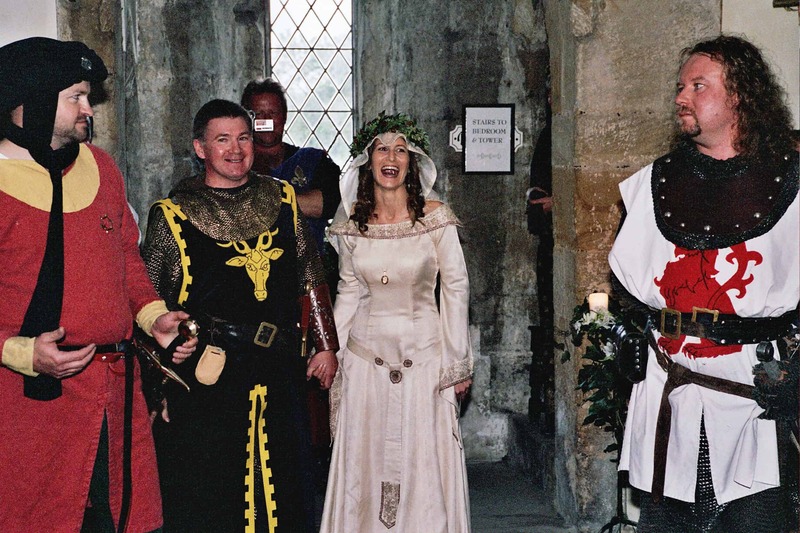 Those looking for something a little different on their special day are in luck. 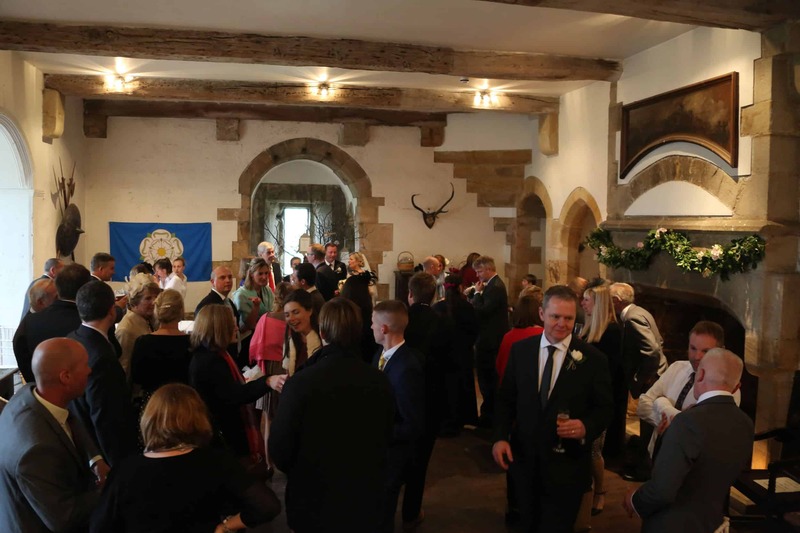 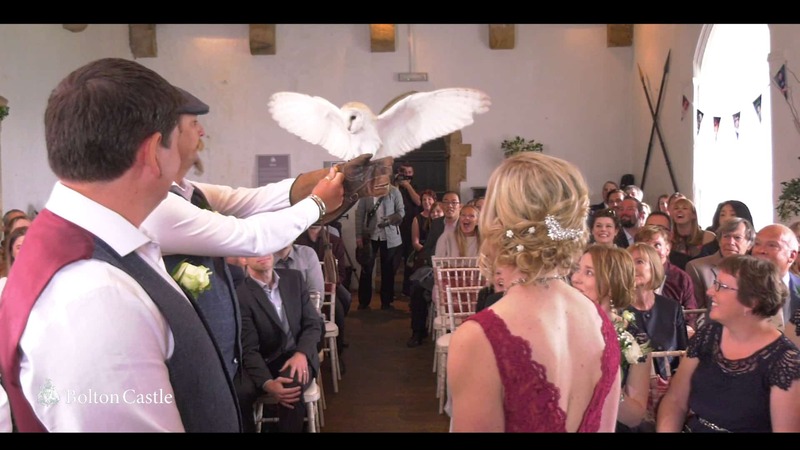 We are licensed to hold civil ceremonies and partnerships on site and can cater for up to 120 guests for the ceremony and reception and up to an additional 120 guests for the evening. 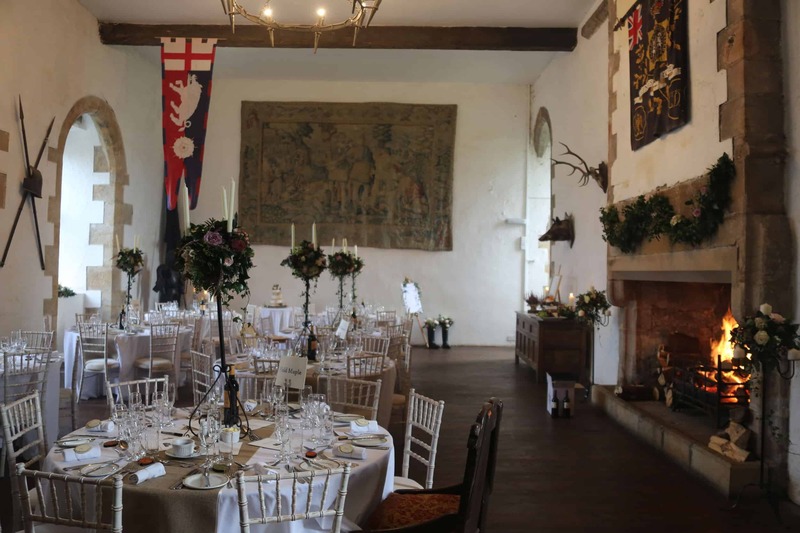 There are a great range of menus, drinks packages and venue hire options as well as additional extras to enable you to create your perfect wedding day. 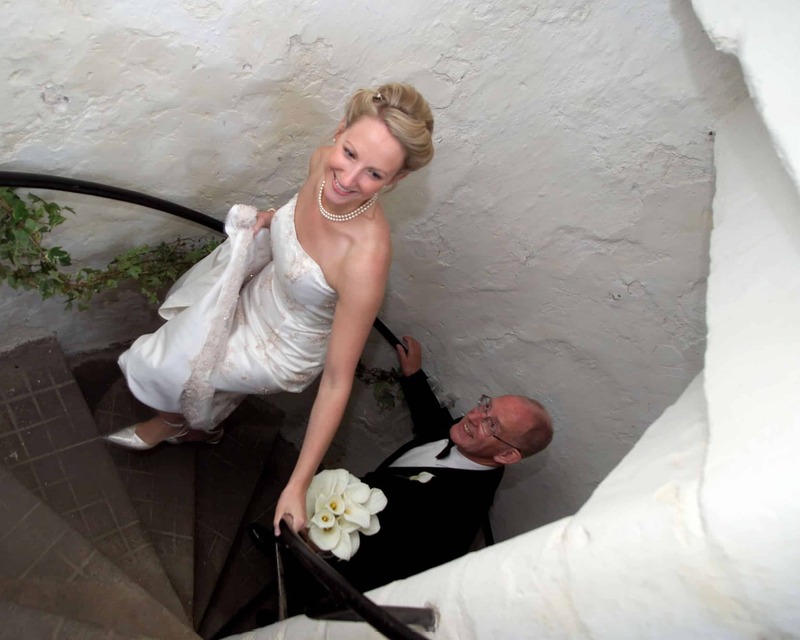 We will help you every step of the way to ensure you achieve your perfect day. 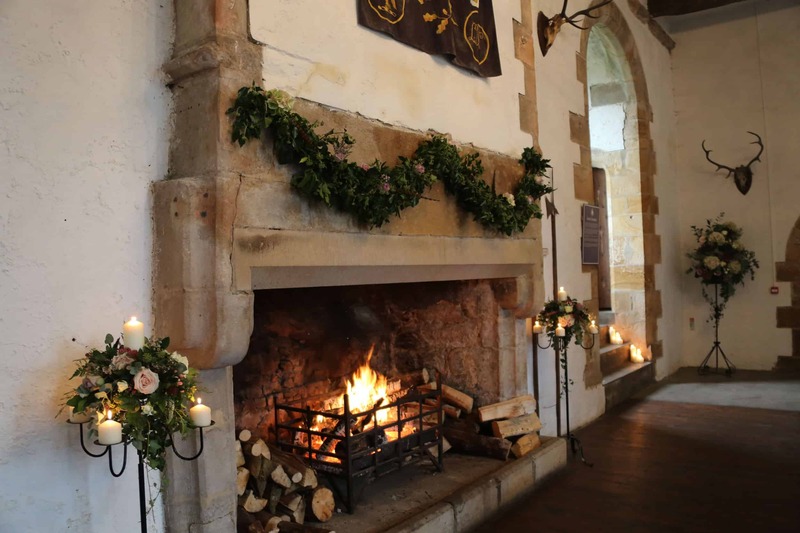 Our charges include exclusive hire of the venue, tables and chairs, VAT, logs for the fires and staff support. 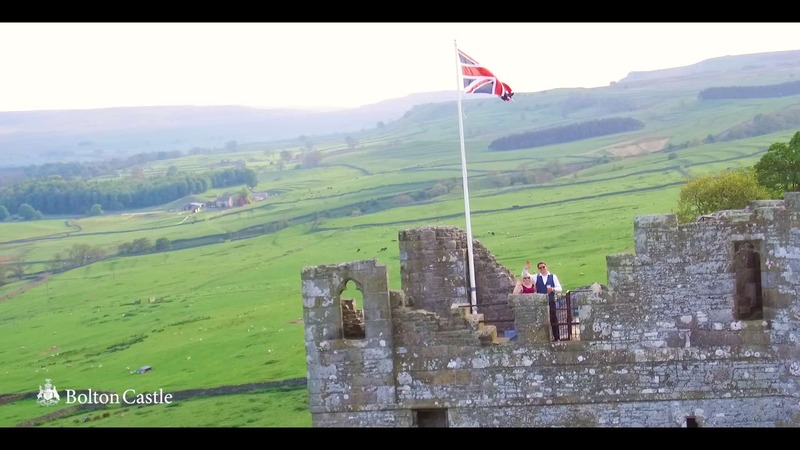 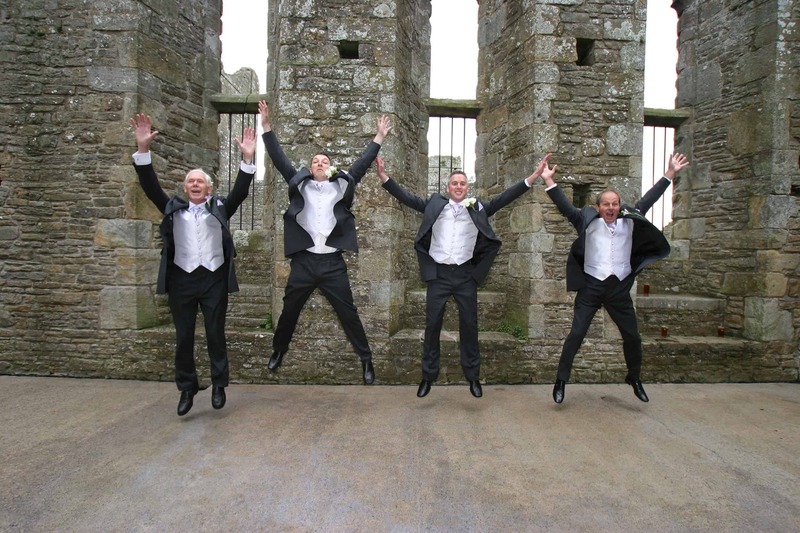 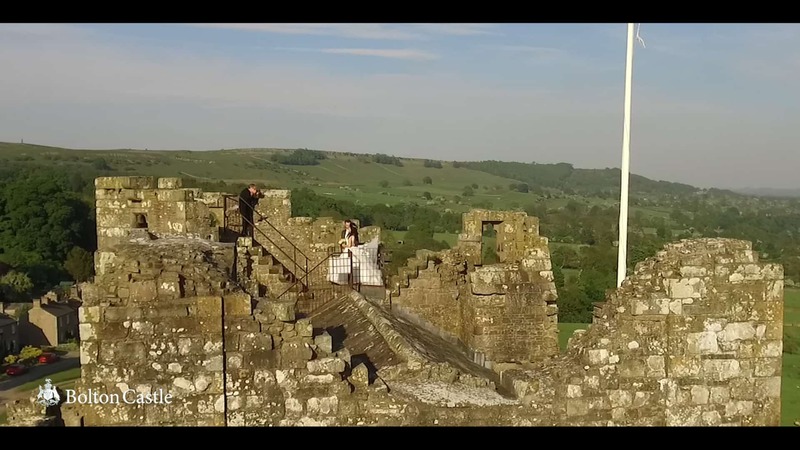 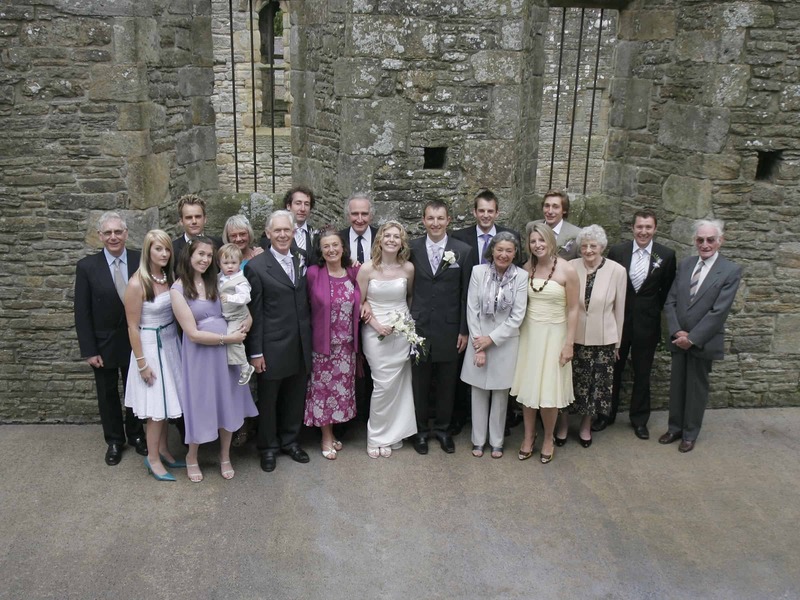 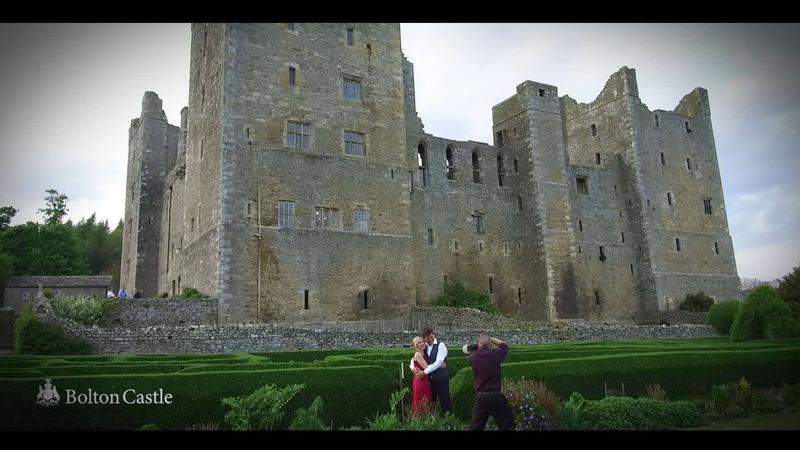 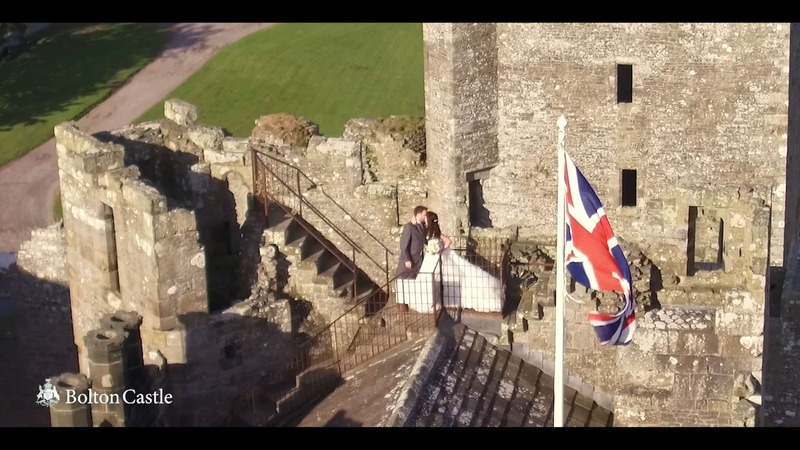 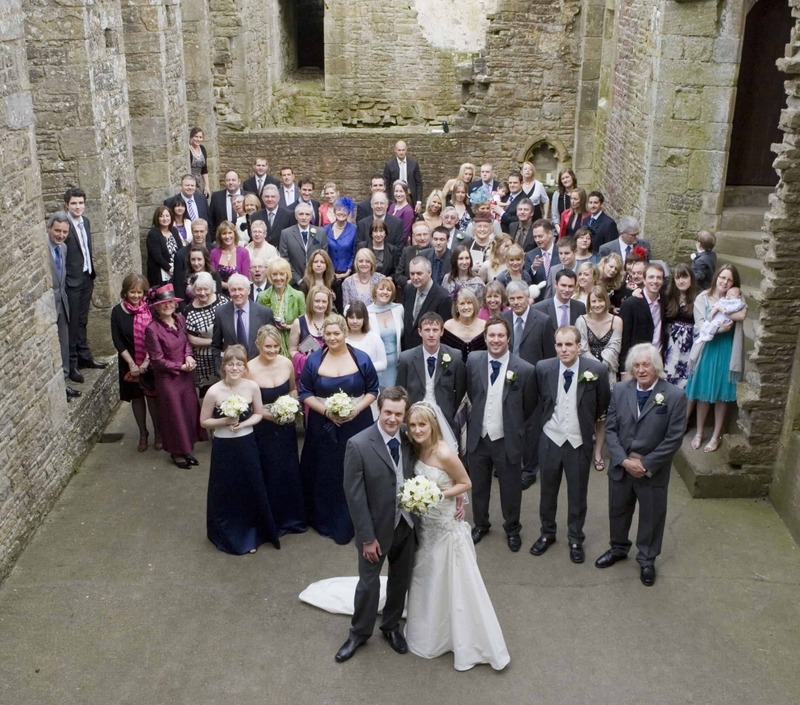 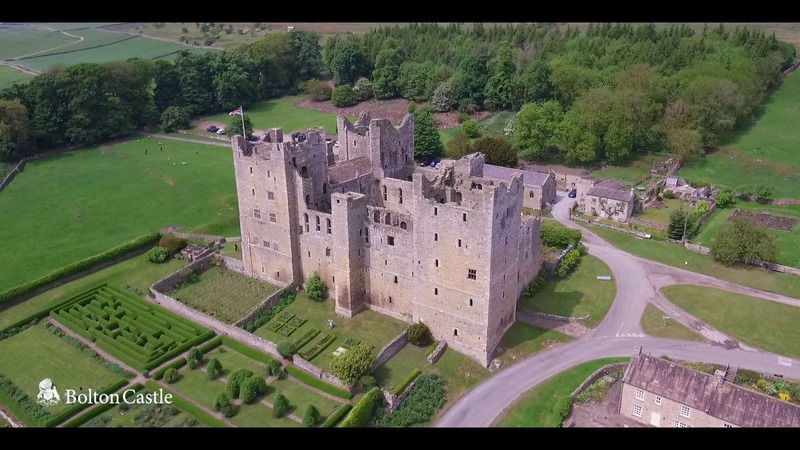 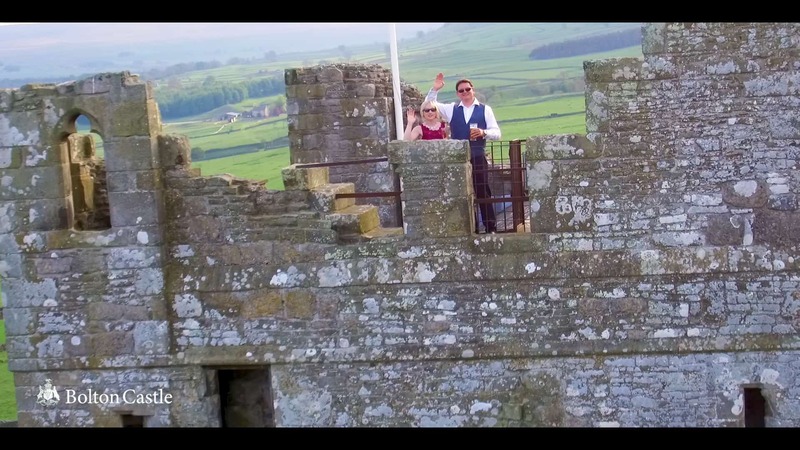 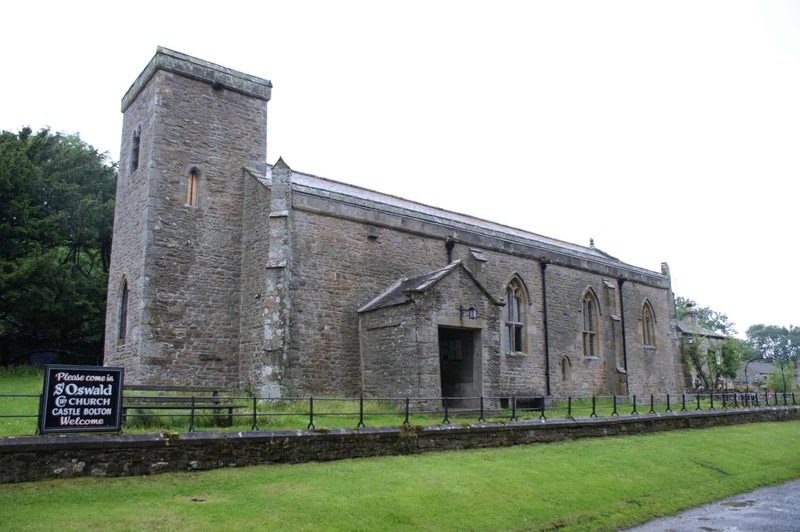 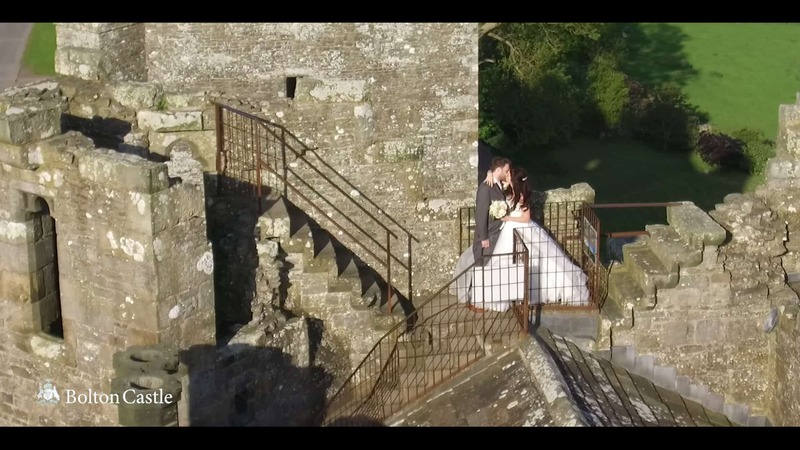 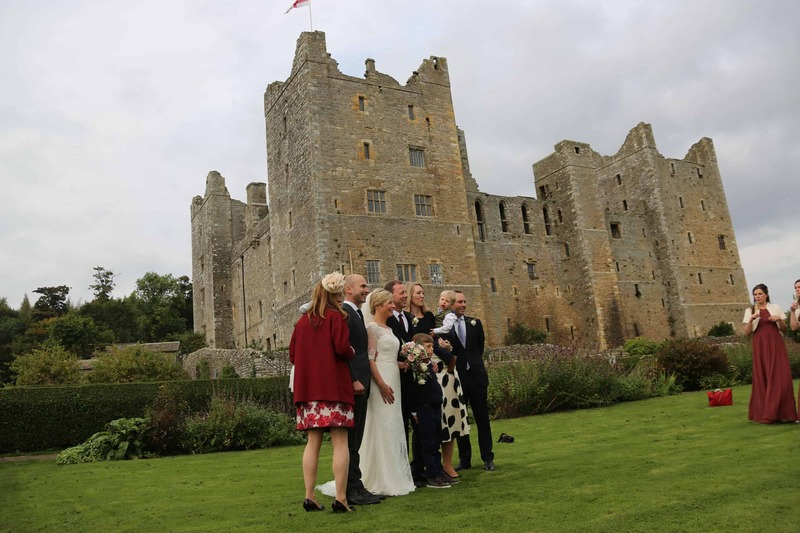 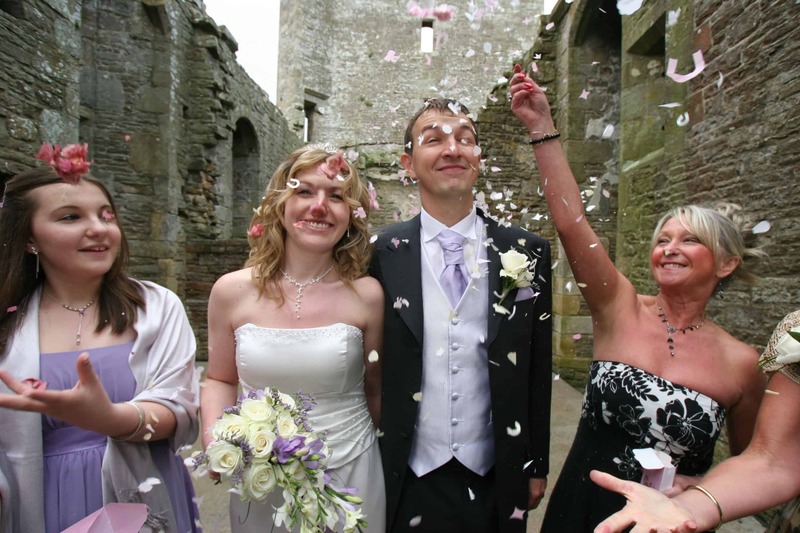 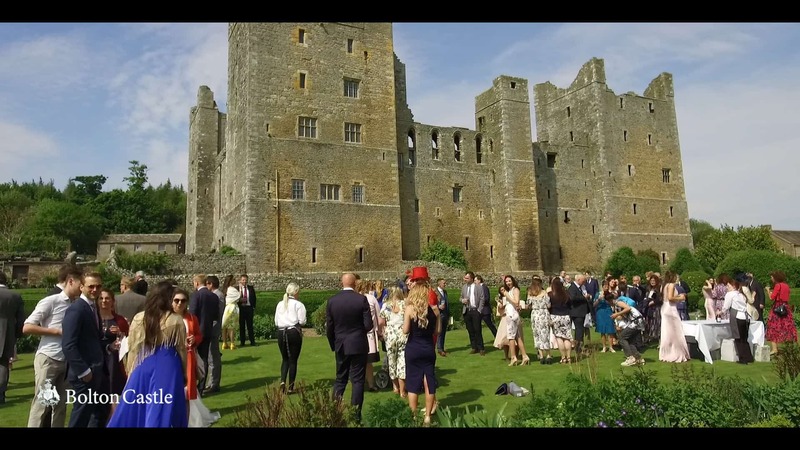 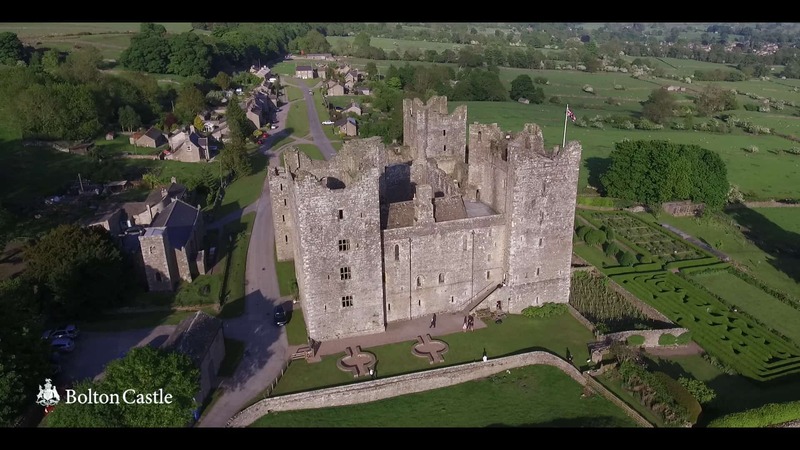 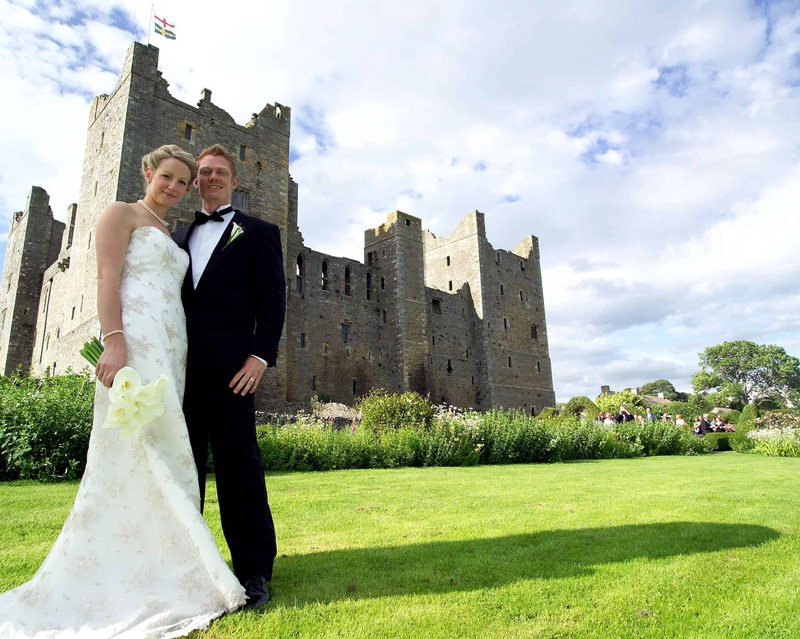 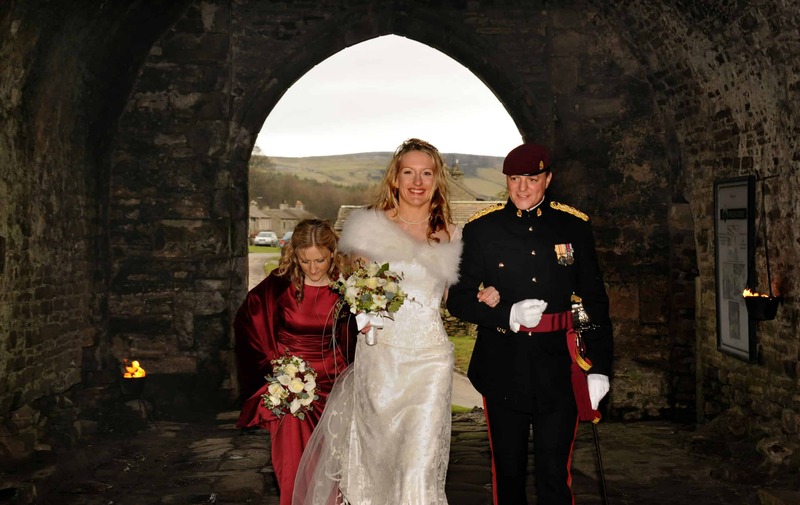 Click here for more on Hiring Bolton Castle as a wedding venue. 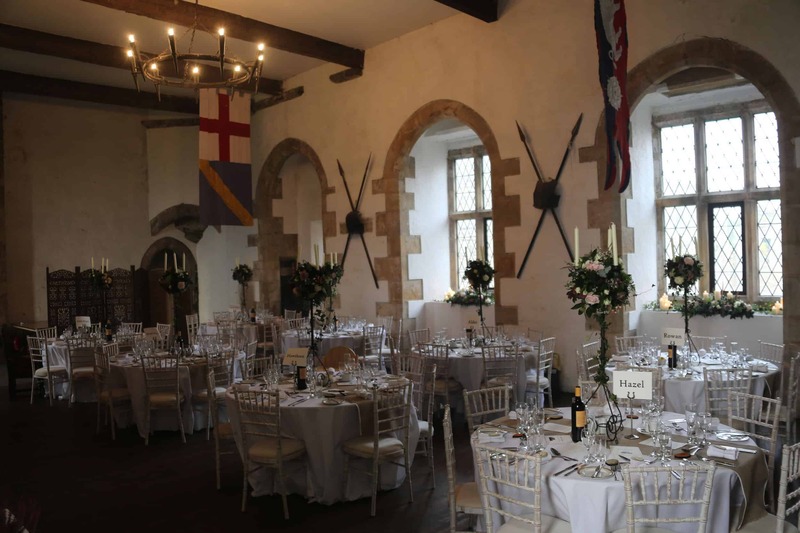 We are now working with Guy Fairhurst (who also has the Castle Tea Room) as our designated caterer. 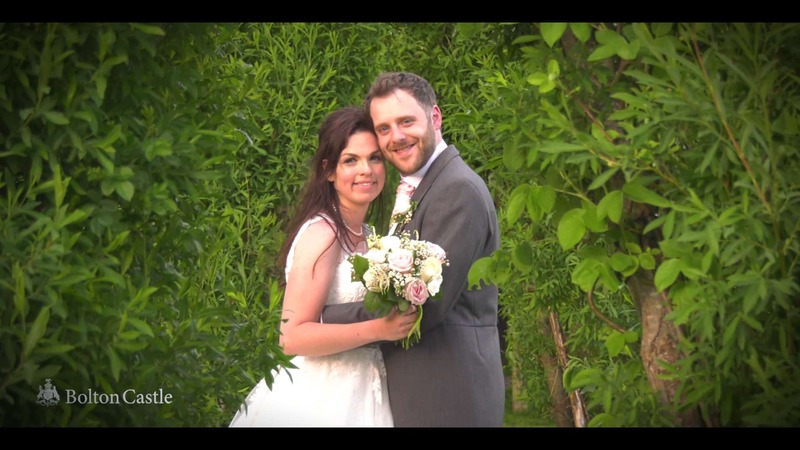 Guy has been passionate about food and cookery since childhood. 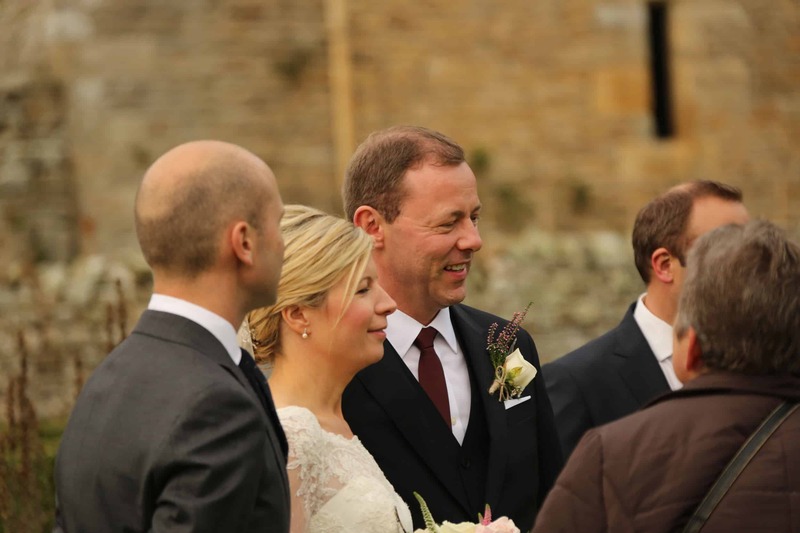 He qualified as a Chef at York College in 2005 and worked in London at the fashionable Eight Over Eight Thai restaurant in Fulham, before returning to his native county of Yorkshire to further his career among his family and friends and the surroundings he loves. 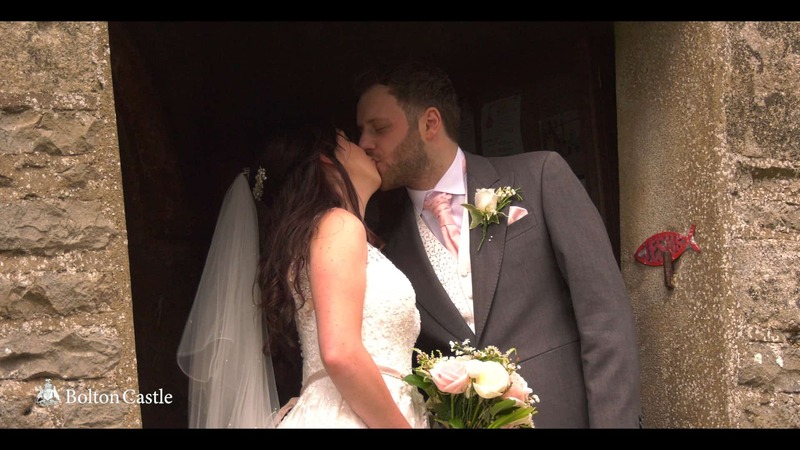 Guy and his team are determined to combine the best local and homemade produce with a friendly welcome and excellent service and can provide you with a wonderful choice of menus to suit all tastes and budgets. 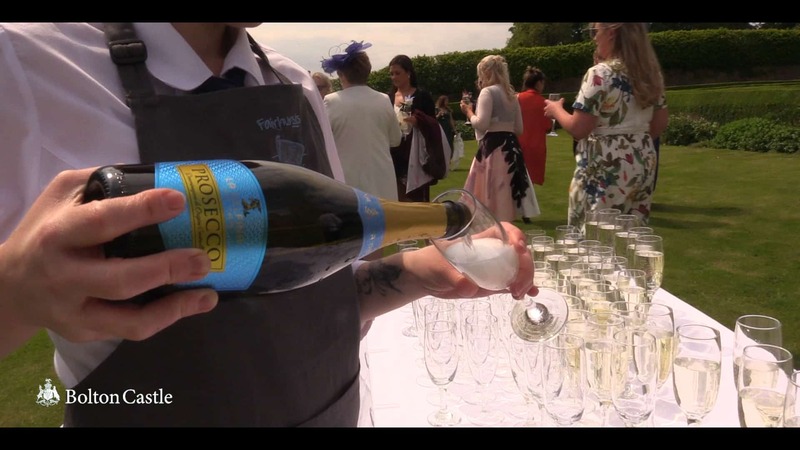 The menus (click here) give you an idea of what Guy can offer but he is happy to work with you to create your own personal menu for your big day. 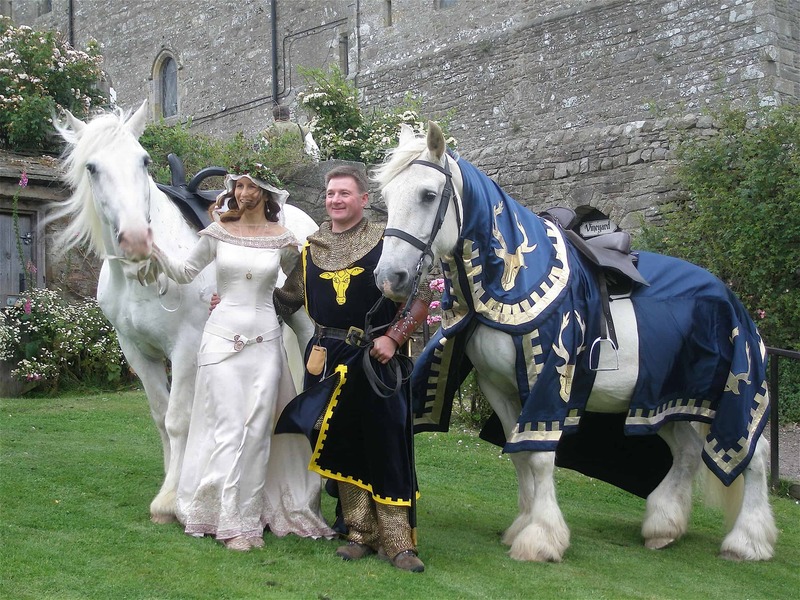 We can also recommend excellent florists, bands, Medieval Musicians and entertainers, DJs, Horse and Carriages, Bagpipers, photographers and virtually anything else you are looking for and will do our best to help you plan a day that is unique and perfect for you. 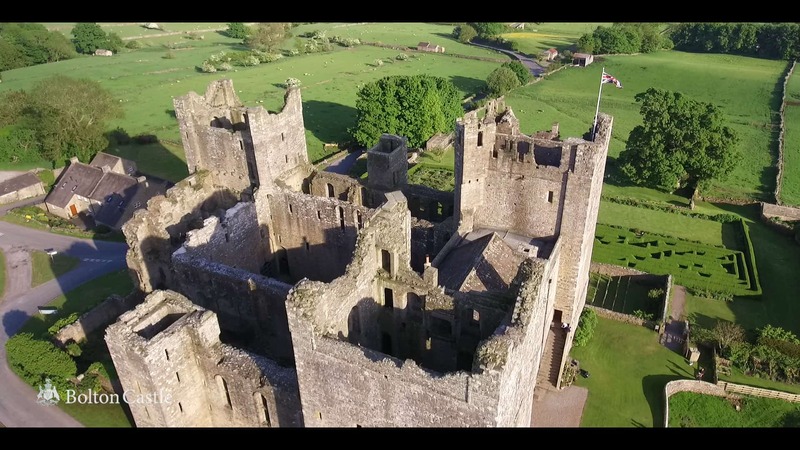 We hope that you find this information useful, however please do not hesitate to call, email or write, if you have any questions or would like to look round and discuss your personal requirements. 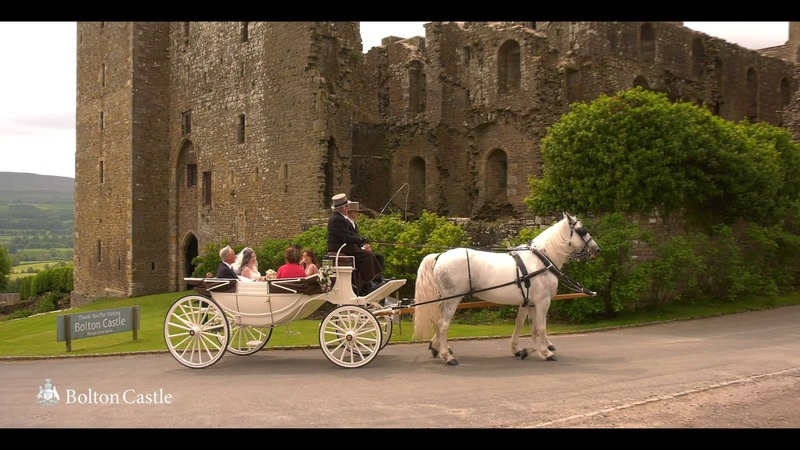 In fact, I would strongly recommend this as I am not sure the website does the Castle justice as a wedding location.